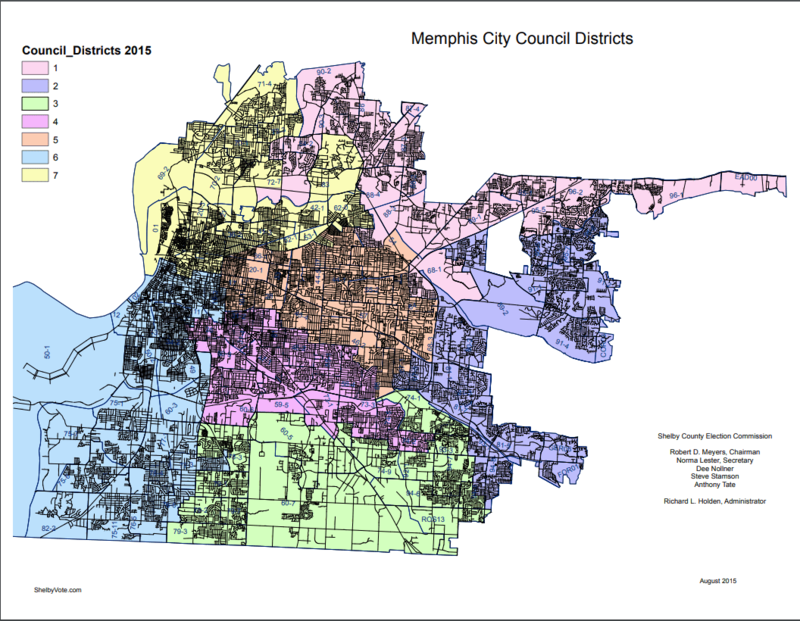 Earlier this week, the Memphis City Council considered candidates to fill the vacated District 1 seat. The effort, an eight+ hour all-nighter reminiscent of the charter surrender days, was a playful jaunt into stubbornness, suspicions and bizarre strategy. On the one side, you had six of the seven African-American Council members voting as a block for Raleigh Community Development Corp. Executive Director Rhonda Logan. On the other side, the six white Council members, occasionally joined by Chairman Boyd, supporting Lonnie Treadaway, National Sales Manager at Flinn Broadcasting. In a contest that needs seven (7) votes, no one could muster the will to come together. Chairman Boyd utilized the bizarre strategy of passing after his preferred candidate didn’t make the second round. This only split the vote further, making sure no one would come up victorious. Memphis City Council District 1 comprises much of Raleigh, Frayser, a corner of Berclair, and the I-40 East Corridor. Based on Voter Registration information: 20% of the district is white, 34% is black, 5% is Hispanic, and 45% is “other”. “Other” is an problematic measure in voter registration data. How do you parse that information in a way that gives you an accurate representation of who the “others” really are. In order to really understand the demographics of an area, you end up having to go to census data to try and get close. That information is nearly a decade old, but short of tracking down 22,000 voters to see, its the best thing you have. Another complicating factor is the precinct splits. The Memphis City Council attorney Alan Wade drew these districts based on Precincts (as they were in the 90’s) and Census blocks. This makes a lot of splits that can’t be resolved with the data published by the TN Secretary of State’s office. So this is a best guess based on available data. In short, this is a majority-minority district. 63% of the voters aren’t white. From looking at her social media and website, it appears Logan has lived here her whole life, graduating high school in Bartlett and getting her Bachelor degree at University of Memphis. Lonnie Treadaway’s tenure in Memphis is less clear. He told the City Council he’s lived in Memphis for about six months. Based on information from the Shelby County Assessor’s office, that appears to be true. He closed on a home in Raleigh on July 2nd, 2018. I checked in Tate Co., where he previously lived, and there’s a record of him selling his home there on or around July 17th, 2018. Treadaway didn’t participate in the August County General/State Primary election as far as I can tell. Having just bought property in the County, he may not have been able to change his registration in time for that election contest. He did early vote in the November General, appearing on the 10/31/18 PVL sent out by Elections Administrator Linda Phillips. 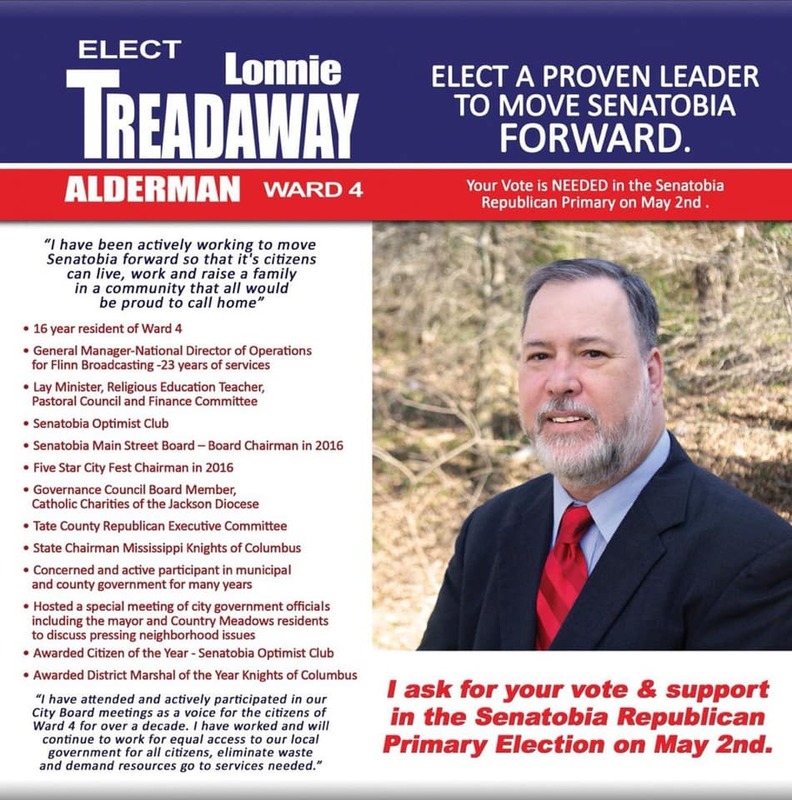 Interestingly, he’s listed as “Lonnie Treadway” rather than “Treadaway”, but the address is the same. He also ran for Alderman in Senatobia, MS, first in 2013 losing the general election to the Democrat in the race and again in 2017, losing the GOP primary. The home Treadaway purchased is in precinct 88-02 in Raleigh. His address puts him bordered by Stage Rd. on the north, Covington Pike on the West, and Bartlett Rd/Sycamore View on the East. Precinct 88-02 is 28% white and 66% African-American as of the 2010 census. One has to wonder why Treadaway chose this neighborhood, which is not really where a bunch of white Republicans live. It’s also half-way across the county from the Flinn Broadcasting offices. Germantown or the East Poplar Corridor would have been closer to work, and around more folks like him. Don’t get me wrong, I’m no hater of Raleigh. In fact, I canvassed this precinct extensively in 2012 when I ran for County Commission, and met a lot of really engaged awesome people. I probably knocked on the door to his house back then. But it does raise some suspicion about why Treadaway would move there? Could it possibly be because the person representing that very district was also running for Countywide office and would be, presumably, vacating it soon? I mean, I’m no conspiracy theorist, but come on…you gotta ask. Since 2007, the District 1 seat has been occupied by Bill Morrison. Morrison won that year after two African-American candidates (Antonio Parkinson, and Stephanie Gatewood) splitting the black vote. Morrison beat Stephanie Gatewood in a runoff election a month later. In the nearly 11 years of his tenure, Morrison was a reliable, if not vocal member of the six member “white voting bloc” that would periodically pick off one or two black Council members to join them in passing stuff. One can only assume that the remaining white members on the Council want Treadaway because they want to maintain that 7-6 split for as long as they can. They understand that once the City Council moves closer to representation that more accurately represents the racial balance of the city, it’ll be harder for them to get things through. One has to wonder why Treadaway was their choice for the position. Surely there was another business friendly person living in the district that they could hand pick, the way they did with J Ford Canale in Super District 9. About half the precincts in District 1 are majority white. There had to be someone other than a guy who lived in a Mississippi town of less than 8000 for 16+ years…and who even ran for Alderman there just 5 years ago, that could do the job. You don’t need a tin foil hat to figure out “something’s rotten in Denmark” with the way the first batch of votes went down. The next batch of votes coming up December 4th, won’t be any easier. With just 10 members remaining on the Council, and seven (7) votes still needed to seat someone, you could see a repeat of Tuesday. Hopefully some of the candidates will withdraw and lend their support to another, more viable candidate. Maybe that will resolve the issue before we have to endure another marathon round of pointless votes. It could also be that some members of the Council think it will be better to just have 10 for a while to get some things done. I’m sure there’s a lot the remaining 5 white guys plus Berlin Boyd can get done with fewer people questioning or voting against their intended actions. In any case, its a bad look for a Council that’s been full of bad looks lately. I doubt it will get any easier when it comes time to seat people for the District 6 and District 8-2 seats vacated by Edmund Ford Jr. and Janis Fullilove. As always, keep your eye on the ball and your head on a swivel. There’s a reason this vote went to an impasse, and its probably already in the pipeline. The Mississippi man has only lived inn memphis for four months! Could they not find a resident puppet in the city?! Things are getting curiouser and coursiouser!